Contractions occur when two words are combined into one, sometimes with a distinctly different spelling. In English, contractions like "I’m" and "won’t" are optional and indicate informality. 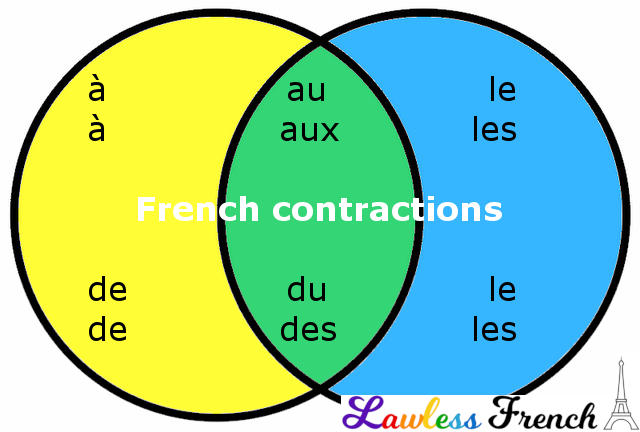 In French, however, les formes contractées are required, regardless of the register you’re speaking or writing in. There are two similar groups of words that contract in French. Le and les contract with the prepositions à and de into articles composés, but la and l’ do not. Only definite articles contract with à and de. The direct object pronouns le and les do not contract. Je continue à les utiliser. I continue using them. Il m’a demandé de le trouver He asked me to find it. 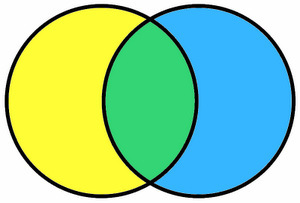 The le and les forms of lequel also contract with the prepositions à and de to create formes composées. Two words joined by dropping one or more letters and adding an apostrophe are called elisions.